On October 27, the 36th Jinhan Fair for Home & Gifts was successfully concluded in Poly World Trade Center Expo in Guangzhou, China. The seven-day exhibition attracted 50,000 professional buyers and visitors from more than 160 countries and regions all over the world, which recorded a slight increase of 3% compared with that of last year. Around 56% of the total visitors are from Europe and America. Major markets in Europe and American are under recovery and the global economy is showing an upward sign. Many exhibitors said that the total turnover of products sending to the American market had maintained its increase rate at 10-15% during the first half of 2017, with a revival in the European market as well. Under such intense competitions in the export market, exhibiting enterprises, which are confronted with uncertain factors such as the increased price of raw material, rising packing cost and fluctuating exchange rate, have all strived to change their business mode for new opportunities. The stage of development that features ‘cost + scale’ has passed, and the design and R&D have become the new prime driven factors to the enterprises’ development. Exhibitors will invest more in design and R&D to raise the added-value of their products, and at the same time adjust the combined application of various materials to alleviate the impact brought by the fluctuating costs to pricing. An increasing number of enterprises are actively building up their core competitiveness by integrating design, quality and services together, paying great attention to clients’ demand as well as conducting consumer market survey, seeking to drive innovation by promoting R&D and highlighting the manufacture quality to extend further towards the upstream of the value chain. Meanwhile to help exhibits fully show their features and advantages within limited space, after several sessions of promotion by the organizer, more and more exhibitors come to realize the importance of using window display. 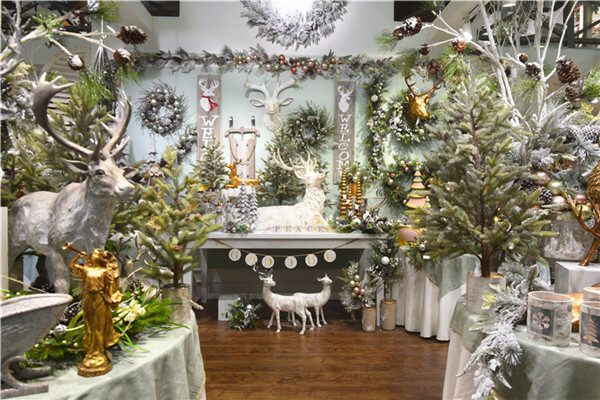 This session’s booths appearance and window display design are refined and exquisite in various styles. The visual effect and color matching of this year’s arrangement give out a completely fresh look, which greatly enhance the attractiveness of the booths. The Fair is crowded with good negotiation atmosphere and a full display of the charm of being a flagship exhibition in the industry. 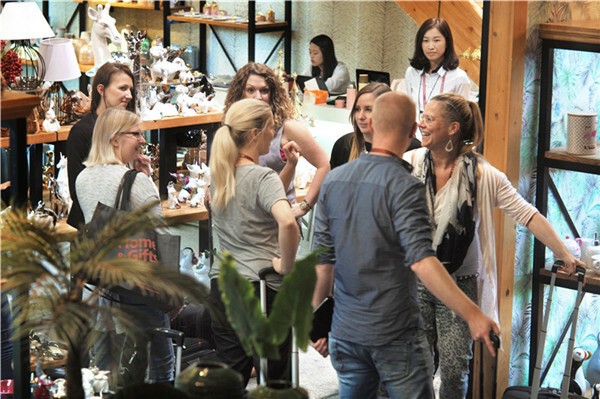 The attendance of this year’s buyers is quite stable with over 600 global top buyers arriving to visit. Due to China’s great potential in the retailing procurement of global home & gift industry, international retailing giants have sent their strong regional procurement teams to come and search for the latest products, including Target America, Russia, Israel and UAE teams, TJX America, England, Italy, Hong Kong and Macau teams, Metro Hong Kong, Philippines and Romania teams, HORNBACH Germany, Czech and Hong Kong teams, Woolworths Germany, South Africa and Hong Kong teams, ZARA HOME Spain and Italy teams, Cencosud Chile, Peru, Argentina teams, etc. 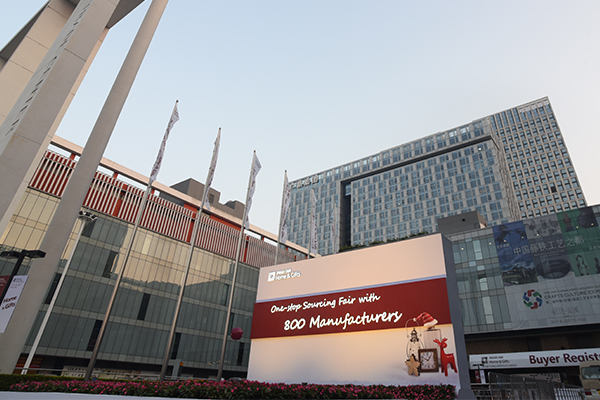 This exhibition assembles leading enterprises in nine product categories, over 10% of which are industrial leaders with export volume exceeding tens of millions of US dollars. Influential factors like the increase in materials cost and tightening of environmental policies bring certain challenges for the export industry. To deal with the ever-changing market, a number of qualified and powerful leading enterprises express their intention to improve their designing ability to build up core competitiveness, only by which can they follow the ever-changing market without losing their fundamental advantage and have an advantageous bargaining power. 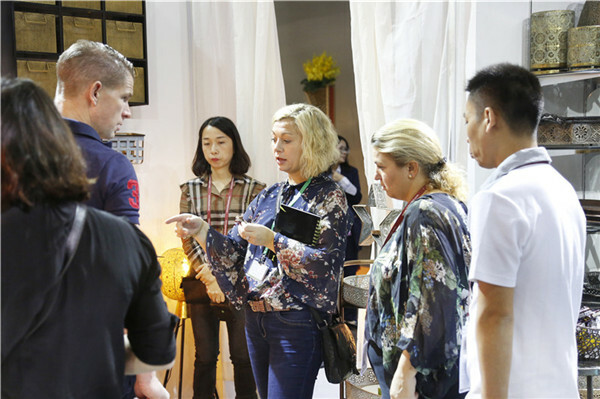 Service of the Fair has been upgraded by providing exclusive trade match-making services to exhibitors and buyers. We provide accurate selection and matching for personalized procurement requirement, and successfully recommend potential suppliers for a renowned American retailer to facilitate their first cooperation. The match-making service helps suppliers and buyers to achieve the perfect matching, which enhance trading efficiency significantly. After eighteen years’ exploration of new functions, JINHAN FAIR has become a comprehensive industrial platform that integrates multiple functions including product display, business negotiation, resource integration and international cooperation. 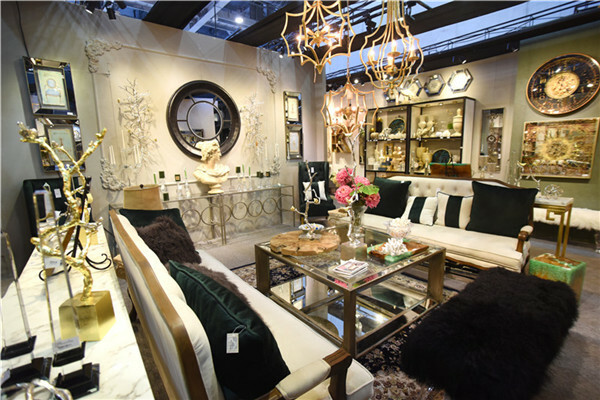 Pursuing breakthroughs in exhibition quality and platform value, we not only grow with the exhibitors but also witness and promote the development of the home & gift industry in China. 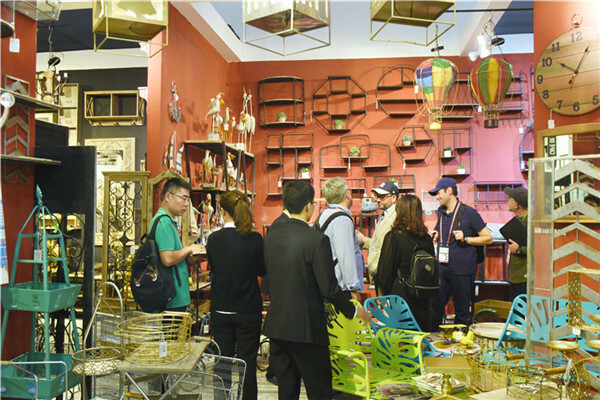 From 21 to 27 April 2018, the 37th Jinhan Fair for Home & Gifts will continue to be held in Poly World Trade Center Expo. Looking forward to see you in next spring!